An Indian company has chosen to invest in a fertiliser manufacturing plant in the central African country of Gabon. Up to 25% of the fertiliser produced at the facility will be shipped back to India. Tata Chemicals' Babrala urea manufacturing plant in India. It was recently announced that Tata Chemicals, a subsidiary of India’s Tata Group of Companies, will invest US$290 million in a fertiliser project in Gabon. Tata Chemicals will acquire a 25.1% equity stake in the urea manufacturing project from Olam International, a Singapore-based global agriculture firm, and the Republic of Gabon. In November 2010 it was first announced that Olam and Gabon’s government will establish a port-based ammonia-urea fertiliser complex through a joint venture partnership. Urea is an important nitrogenous fertiliser. The nature of the soil in many Indian regions is such that nitrogenous fertilisers are an essential input for most crops. Tata Chemicals has committed to off-take up to 25% of the facility’s urea output into the Indian market, subject to the de-regulation of urea imports into India. The project is expected to be commissioned in three years time. Tata Chemicals is one of the world’s biggest urea and phosphatic fertiliser manufacturing firms. It operates one of the most energy efficient urea facilities of 1.25 million tons per annum capacity at Babrala in Uttar Pradesh, India. It also produces di-ammonium phosphate (DAP) and NPK fertiliser at its Haldia plant in West Bengal, India. In addition, it has a phosphoric acid manufacturing joint venture in Morocco. The project has secured natural gas tied-up at a competitive fixed price for a period of 25 years. Olam said in a statement that the plant is envisaged to be one of the lowest cost urea manufacturing facilities globally. Other project incentives include a 10-year tax holiday after commencement of commercial production and 10% concessional tax rate thereafter. Located near Gabon’s main port, the project allows for easy handling and proximity to the indentified target markets of India, Africa, North America and Latin America. “We believe this project will fill the gap of growing agri-inputs need in Africa, Latin America and Asia,” said Ramakrishnan Mukundan, managing director of Tata Chemicals. 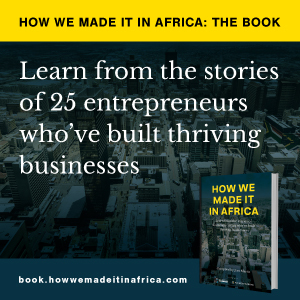 One of the reasons for the increase in investment into Africa from other emerging markets such as India and China is because the continent offers entrepreneurs the same earnings growth potential they are used to in their own countries, rates not easily achievable in the US or Europe. Zin Bekkali, CEO of Silk Invest, said in an interview with CNBC Africa last year that many business people in emerging markets benchmark themselves against the double digit growth opportunities found in their own countries, which gives them a greater appetite for markets such as Africa. “If you’re an entrepreneur out of India, or the Philippines or the UAE . . . your tolerance for risk is higher [because] you’re coming from a region where you have been growing your business 10% to 20% annually in terms of earnings, and that is basically your benchmark,” he said. “Recently we spoke to a Chinese investor, and . . . for them Africa is actually a safer [and] better place to do business than Europe, because they can work in an African environment but [it is] far more difficult [for them] to work [in] a rather bureaucratic [and] settled environment as we have today in Europe,” Bekkali added.